Have questions about placing your order? If you don't see the answer below, please email us! 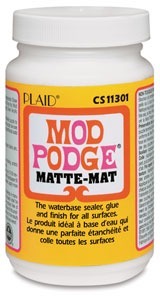 Do I need the Mod Podge or squeegee? Most helmets need mod podge. Unless your child is too young to move his or her head, you probably need it. You can get it from us or any local craft store. The squeegee is a convenience. You can apply the decals with a credit card, but the squeegee is easier to use. Why do you ask for the helmet color? We only ask the helmet color so we can adjust the colors in the design so they will make a good visual contrast. If it is white, you can leave this line blank. The decals will not change the underlying color of the helmet. What if I do not want to include a name? We are down with that! 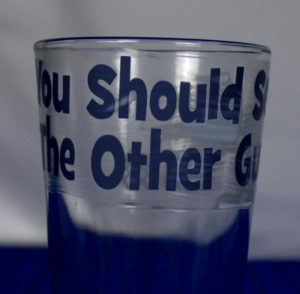 We won't, however, waste the space. We will copy in extra elements so you get your money's worth. Can I ask for color or size changes? Is the pope Catholic? You bet you can! Don't feel bad about asking. We will also substitute elements from one design into your design. 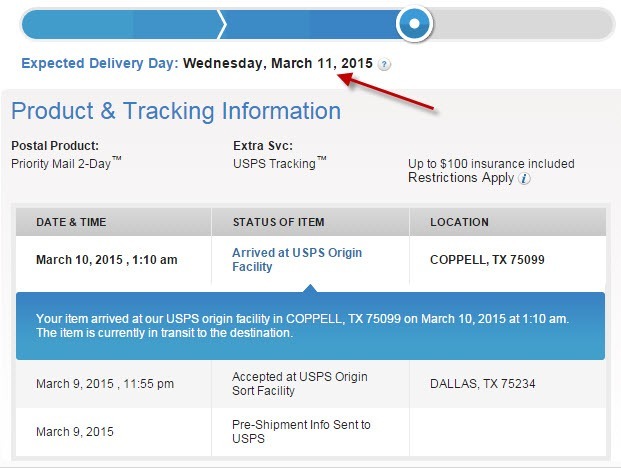 You should get a proof within one business day sent to your email address of record. If you have not received a proof within two business days, please check your SPAM folder, and then please email us and inquire. After you see the proof, you can ask for size, color, or element changes, or you can approve printing. You must specifically approve printing (see the next paragraph). Responding with "I like it" is not enough for us to print. After printing is approved, we add you to the print queue. We print and ship at least every other day, often every day. You will receive an email with a tracking number when your order ships. If two-three days go by after you give shipping approval, and you don't see shipping notice in your inbox or spam folder, please follow up with an email. How do I apply them once they arrive? We have a detailed, step-by-step decal application guide! Do I have to have the blue squeegee? No, but it helps. You can use a credit card to apply the decals. The negative to the credit card is that it is hard so does not flex well, and can have a bit of sharp edge. It can want to dig into the vinyl instead of sliding, while the Squeegee is softer and likes to slide. The squeegee is also easier to grasp. For $2, you won't be sorry you got it and you are getting a deal with us because we want you to buy it and have a good experience. Try to buy the same squeegee for less than $4 anywhere else! Do you recommend Mod Podge to protect the decals? Yes we do recommend Mod Podge to seal and protect the decals, and we have a detailed Mod Podge application guide. So far, we have not had anyone report issues with their decals who followed the application guide and sealed with Mod Podge. We ship quickly, and we know from our own experience that getting to the store during the week can be really difficult. 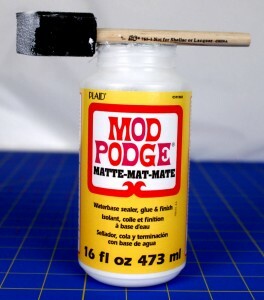 So we have starting selling Mod Podge and brush so that you have everything you need the moment the decals arrive. This entry was posted in Uncategorized on April 28, 2014 by wp_admin. Searching the artwork? The search box at the top of the page does that! Over the years Bling Your Band has generated a lot of artwork based on pop culture and sports (lots of sports!) that we don't show, but can be searched. We also have 'hidden' artwork (usually niche themes) that you can only find by using the search box. We are always willing to create new artwork. We do not charge for developing new artwork. We see it as part of our normal course of developing new designs. This entry was posted in Uncategorized on April 22, 2014 by wp_admin. Often, yes. If you need it by a specific date, please note it in special instructions or send us an email. We do everything possible to make it happen at no extra cost, but we will notify you if expedited shipping is needed, and you can elect to use it. This entry was posted in Uncategorized on April 21, 2014 by wp_admin. Do items from the same manufacture always match? Please note that if you are ordering a nap mat, lunch tote, backpack and duffle bag from one manufacturer, the color may not be the exact same. They will be close, and often match exactly, but don't always. "I found using a small sponge brush worked best to apply it. I used the sponge brush so I could throw it away when done. I applied 1 coat. Let it dry. Then applied another coat. Let that dry. Then applied as needed. Held up well. Only had to touch up once in the 3 months we had it. I also did multiple coats about 3 and it lasted for months without peeling." "We used glitter in our mod podge, love that stuff!" "I ruined my pants doing my daughters band because I spilled some on me...but boy does that stuff work. I never had a sticker peel or come off." "I taped off with frog tape and newspaper then spray painted with two coats of silver acrylic (30 min dying time per coat) then coated in epoxy resin and dried overnight. I then added the decals and coated those in another layer of epoxy to make them permanent. In the end I found epoxy to be a better protector than modge podge, but it's tricky to use as it thickens very quickly, so you have to work fast if you want to avoid getting streaks and you need to leave it overnight to harden properly. I didn't have time to practice, but my advice to others is to have a couple of goes at using epoxy on an old bowling ball or skate helmet before applying it to the baby helmet, and make sure you have plenty of brushes and mixing pots and at least 2 x 25g tubes of Gorilla 5 min Epoxy Glue available per coat." "I used rubbing alcohol on the inside and just plain water on the outside"
"As an Orthotist I recommend rubbing alcohol in a spray bottle. Spray inside helmet, let sit a few moments & then wipe dry w/ a paper towel. We never allow or promote the use of heat ( blow dryer or hot water) on our helmets as it can warp the plastic & loosen the glue." "Our orthotist told us to use rubbing alcohol. I use cotton pads and wipe out the inside. If the outside of the helmet gets dirty, I use either rubbing alcohol or water. 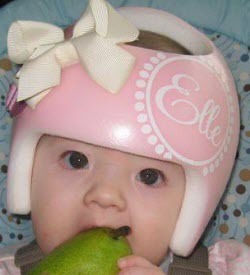 Make sure that both the helmet and your child's hair is dry before you put the helmet back on. Sometimes, if I am in a rush to get it back on, I will blow dry my daughter's hair and the inside of her helmet. But never use warm/hot air. My dryer has a cold button which I use. Also, make sure when you are cleaning the inside of the helmet that you don't scrub it too hard. I don't know about all of them, but my orthotist uses the stains and discolouration to see where the pressure points are. If you scrub it too hard, they will have a difficult time trying to figure out where/how much to file down at fittings. I thought it was gross to have a discoloured helmet, but if you are using rubbing alcohol, it will kill all the germs (it also gets rid of the smell!). I was also told, that if you notice your child is sweating a lot, you can blow into the top of the helmet to get some cold air venting through!" "^^^i always thought the same thing about my sons helmet. It was stained on the inside after a few days and we couldn't get them cleaned off. But the rubbing alcohol with a soft bristle toothbrush took the smell away." "I use a bowl to put soap and water in and use a small soft brush to scrub the inside. I get a wash cloth and wipe out the band a few times rinsing the rag each wipe. Then spray with rubbing alcohol water mix. And again wipe out several times to get out any residue [and] dry for hour. Sometimes I use hair dryer on low or cool to dry any added foam padding." 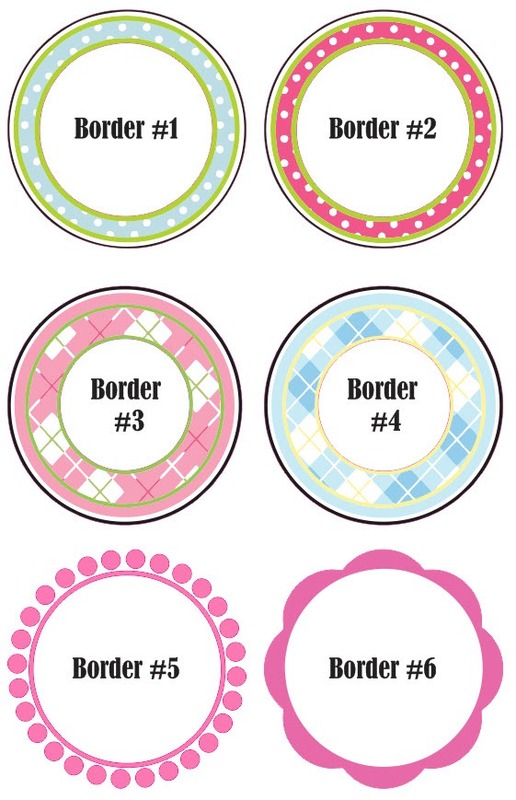 You can choose from these optional name, initial, and monogram borders. To use one, please note in the special instructions section something like "Please use Border #4"! You can use a border on our Name Only product for no extra fee. If you would like to use a border from this page on a different design, note in the special instructions on your order to please use Border #<which one you want>. We may have to delete elements from designs to fit a border. 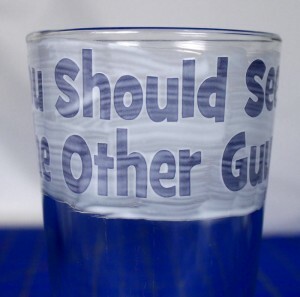 Please note in special instructions the desired diameter of the border. These borders are best used with short names, about four letters or less, or are great with initials. If the name is short enough, or just an initial, we will weed out the extra vinyl in the center of the design (as shown in below picture). If the name is to big, meaning the letter sizes would be too small for us to weed the vinyl from the center, we will print the center as a solid peice of vinyl. This means the band surface would not show through the center of the design. This entry was posted in Uncategorized on April 18, 2014 by wp_admin. We are in the process of interviewing talented artists who will be able to custom paint a helmet in various styles. If a style matches what you are looking for, we will connect you with the artist of your choice. We are also in the process of acquiring helmets, and will have the potential artists paint samples to verify their abilities. We expect to start offering this service in approximately May of 2014. This entry was posted in Uncategorized on April 16, 2014 by wp_admin. We recommend using Mod Podge to seal and protect the decals from abrasion damage, and this guide shows more details about using it. You can use just about any paint brush you like but we like the foam brushes. They have a nice even edge, and the price is right! Our bottle is matte finish, but glossy is good too! Before applying the mod podge, we highly recommend sanding the band with the included sandpaper square. Occasionally there are slick coatings that won't come off with a rubbing alcohol wash and sanding the band takes care of it. You are not trying to remove material, just to roughen the surface. Sand the entire surface, not just where the decals will be applied to make sure the mod podge bonds to the surface. This is our definition of a medium coat, and we recommend five medium coats. 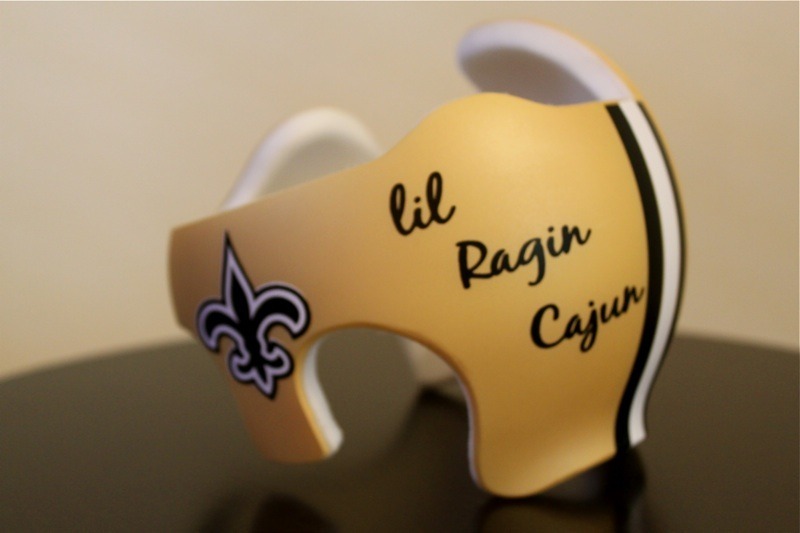 They don't all have to go on before your child wears the band with decals applied. We recommend you apply the decals, and then apply the first two coats immediately after. The rest of the coats can wait till later. Only the decals and the around the decals need Mod Podge, but aesthetics (particularly on clear helments) may dictate a uniform application on the band. Mod Podge in this thickness dries pretty quickly. This picture was taken 5 minutes later. The thickness we are looking for is when you take your fingernail and scrape along the band until you hit a decal, do you feel a sudden step that catches your fingernail, or does your fingernail keep sliding along? 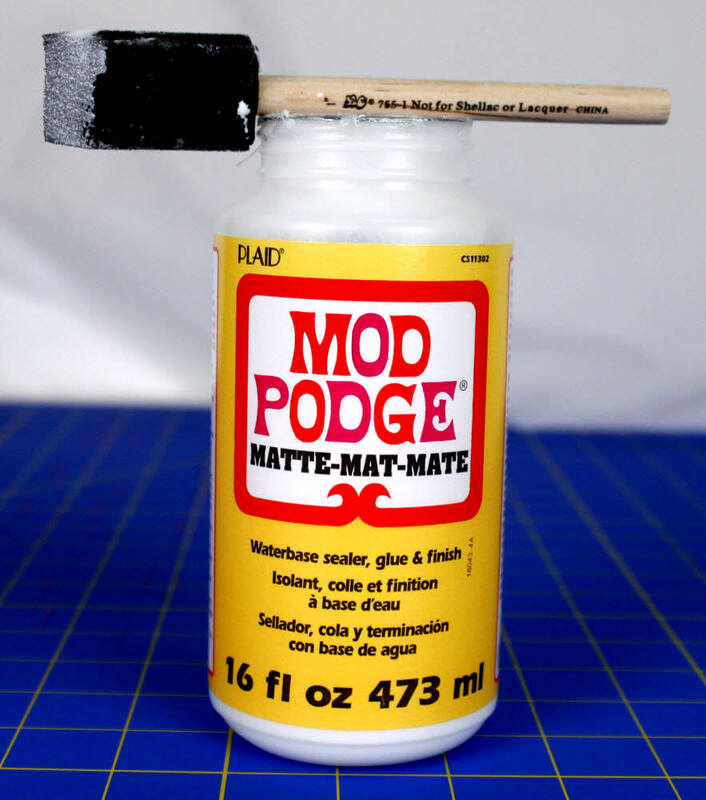 We find that it is the forth coat that builds the Mod Podge up thick enough that a fingernail won't catch on the edge, and we recommend five coats to be sure. We recommend putting two on the day the decals go on, two the next day, and one the day after. You have enough thickness when your fingernail keeps sliding and does not catch on the decal edge. While wearing the band, your child moves it against the fabric of bedding, rugs and furniture, and without Mod Podge, that fabric also can catch the decal edges and start lifting them up, breaking off fine points, or sanding the ink off the vinyl. Without Mod Podge protection, damage has been reported to happen with some children in just a few days. We have never had reports of damage from folks who followed the application instructions. Every week or so we recommend applying another coat. You will need to remove the Mod Podge and decals if changing designs. I generally is easy to take the Mod Podge off it is built up to the proper thickness. Just work an edge until you can start to lift it up, and it will remove easily in sheets. Mod Podge usually, but not always, removes without damaging the decals. Mod Podge can be wiped with a wet cloth without it getting sticky or turning to goo, but it cannot be submerged in water for more than a few seconds or it will start turning white and eventually, goo. This entry was posted in Uncategorized on April 1, 2014 by wp_admin.